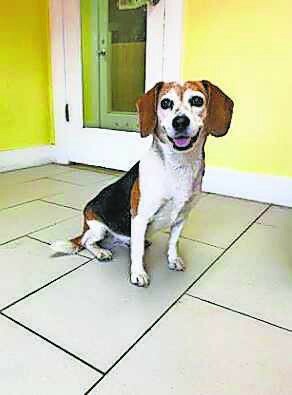 Darla, who is about 7 years old, is a sweet little beagle girl found as a stray in Georgia. She’s quiet, shy and timid, but a complete lovebug! She wants to crawl on your lap or lay by your side. Darla is scared of loud noises, and would do best in a quiet home where she can get lots of snuggles and cuddles! She is super soulful and kind hearted. Darla gets along well with other dogs, too! She’s perfect! To adopt Darla visit savedme.org and. To see more adoptable pets, visit facebook.com/mumsandmutts.